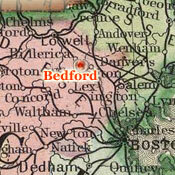 "Or you may walk into the foreign land of Bedford, where not even yet, after four or five, or even seven or eight, miles, does the sky shut down, but the airy and crystal dome of heaven arches high over all...and from the hill eastward perchance see the small town of Bedford standing stately on the crest of a hill like some city of Belgrade," Journal, 1850. 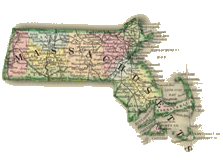 Learn more at the Bedford Historical Society. 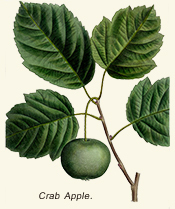 Thoreau delivered his lecture on "Wild Apples" at the Bedford Lyceum on February 14, 1860. 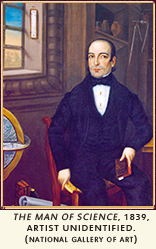 Published in the Atlantic Monthly in November 1862, seven months after his death in May, the essay exemplifies his humanist approach to environmental science and history. 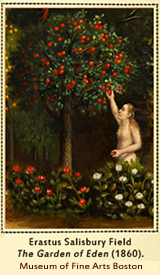 "It is remarkable," he observed in his opening sentence, "how closely the history of the apple-tree is connected with that of man." 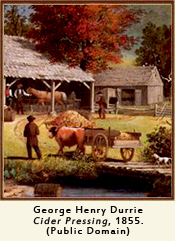 Having established this anthropological perspective, he mentioned a native American species of apple that grew in Minnesota, but devoted most of the essay to the accidental propagation of cultivated trees with the spread of human society. 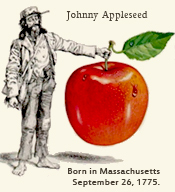 His poetic history of the apple tree thus confirmed his description of himself in his journal in 1853 as "a mystic, a transcendentalist, and a natural philosopher to boot." Fusing spiritual and scientific observation, which, he admitted, would make him "the laughingstock of the scientific community" if he tried to explain himself to its members, he exulted in the intensity of flavors produced by the growth of apple trees in unexpected places and cataloged the states of mind in which the "bow-arrow tang" of fortuitous fruit can be most readily enjoyed. "Science does not embody all that men know, only what is for men of science. The woodman tells me how he caught trout in a box trap, how he made his trough for maple sap of pine logs, and the spouts of sumach or white ash, which have a large pith. He can relate his facts to human life... The knowledge of an unlearned man is living and luxuriant like a forest, but covered with mosses and lichens and for the most part inaccessible and going to waste; the knowledge of the man of science is like timber collected in yards for public works, which still supports a green sprout here and there, but even this is liable to dry rot." Learn more at the Botanical Society of America. Explore the USA National Phenology Network.